Ironing used to be a way of life before polyester became popular. Every item of clothing had to be ironed before it could be worn, and the steam iron was a necessary item, hidden under every kitchen sink. A chore that many a housewife had to do weekly is now a once-in-a-while quick fix. Every now and then, what you need is a steam iron to the rescue! Fill the reservoir of the iron with water. Distilled water is best because it leaves no mineral residue. If you are only ironing one or two items, just use a few tablespoons of water. Filling the water reservoir when you won't need to use it all allows sediment and minerals to settle in the iron, possibly clogging the steam nozzles. Pouring remaining water out after using the iron doesn't always drain all the water out. Only put in what you'll use. Turn the iron on. Set the temperature gauge to the setting appropriate for the fabric, such as cotton or silk. The steam feature of the iron is usually turned on with a button marked "steam." Turn this feature on. Allow the iron to come to its ready temperature. You will hear the water sizzling in the reservoir. Begin ironing the item of clothing. 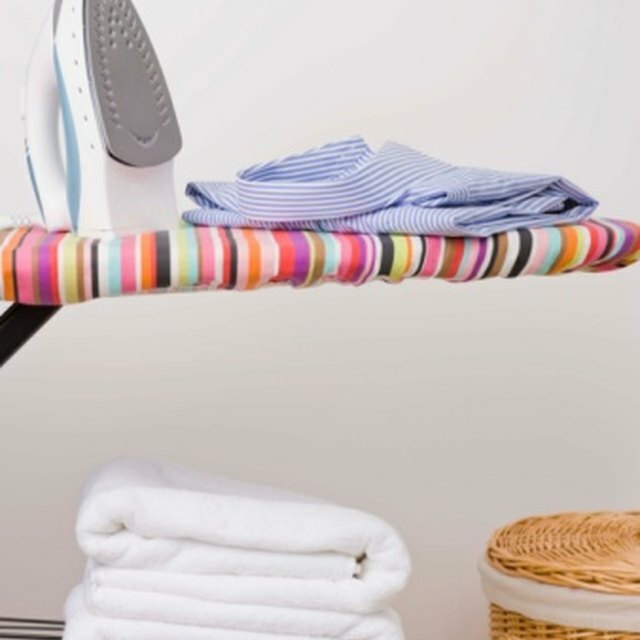 Your iron most likely has a "blast" setting, which sends a quick spray of steam from the iron. This is good for small areas or very wrinkled areas. If the iron is set to the steam setting, it will disperse steam as soon as it is in the horizontal (ironing) position. Drain the remaining water out of the iron by flipping it so that the pointed end of the iron is down. Do this over a sink. Be careful because the water is very hot. As soon as an item is wrinkle-free, hang it on a hanger. If you cram it into a full closet, you'll only wrinkle it again! Is Straightening Bad for Your Hair?